Background: Numerous studies have reported predictors of new-onset postoperative atrial fibrillation (POAF) following cardiac surgery, which is associated with increased length of stay, cost of care, morbidity, and mortality. The purpose of this study was to examine the association between preoperative diastolic function and occurrence of new-onset POAF in patients undergoing a variety of cardiac surgeries at a single institution. 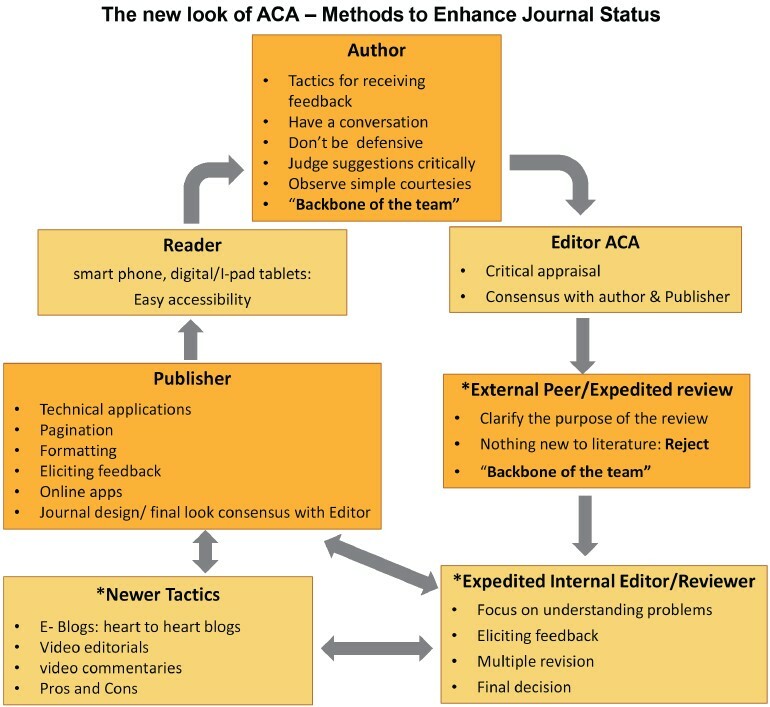 Methods: Using data from a prospective study from November 2007 to January 2010, a retrospective review was conducted. 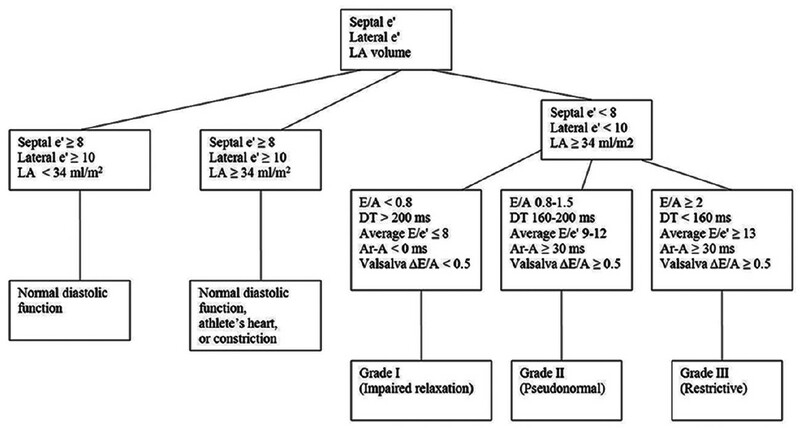 The diastolic function of each patient was determined from preoperative transthoracic echocardiograms. Occurrence of new-onset POAF was prospectively noted for each patient in the original study. Demographic and operative characteristics of the study population were analyzed to determine predictors of POAF. Results: Of 223 patients, 91 (40.8%) experienced new-onset POAF. 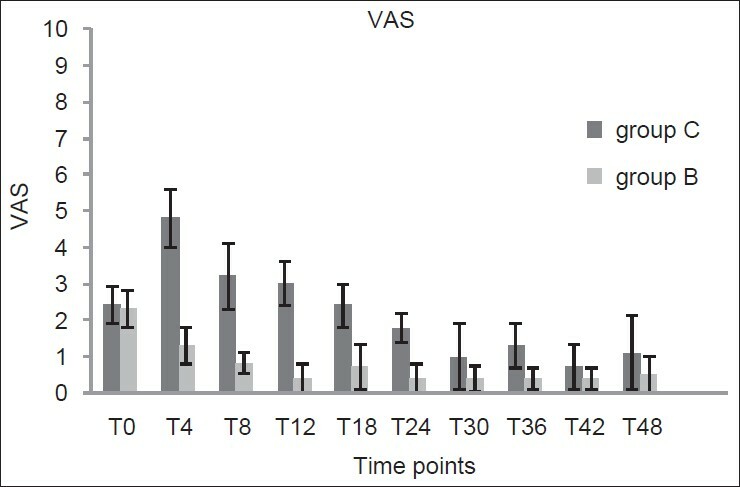 Univariate predictors of POAF included increasing age, male gender, operations involving mitral valve repair/replacement, nonsmoking, hypertension, increased intraoperative pulmonary artery pressure, grade I diastolic dysfunction, abnormal diastolic function of any grade, decreased medial e', elevated medial E/e', and increased left atrial volume. Multivariate predictors of POAF included increasing age, increased left atrial volume, and elevated initial intraoperative pulmonary artery pressure. 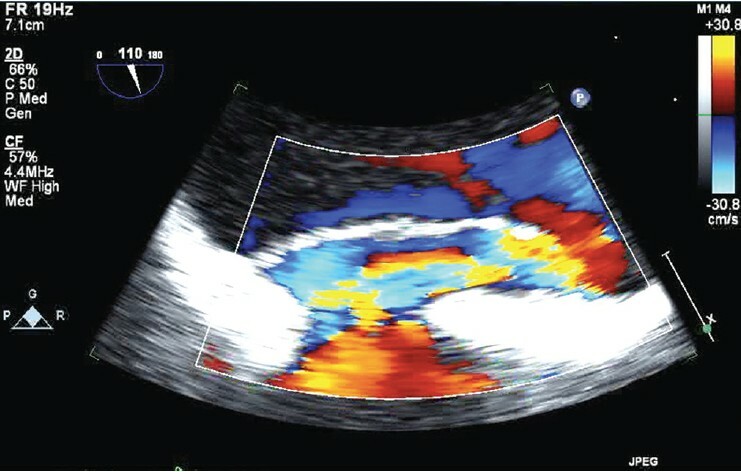 Even after exclusion of patients with hypertrophic obstructive cardiomyopathy or those undergoing mitral valve operations, diastolic dysfunction was not a multivariate predictor of POAF. Conclusions: In the patient population studied here, preoperative diastolic dysfunction was not predictive of POAF. In addition to increasing age, initial intraoperative pulmonary artery systolic pressure and left atrial volume were both significant multivariate predictors of POAF. Background: Coagulopathy is a major issue in children undergoing high-risk pediatric cardiac surgery. Use of anti-fibrinolytics is well documented in adults, but recently there are questions raised about safety and effectiveness of their use on routine use. Tranexamic acid is a potent anti-fibrinolytic, but its role is not fully understood in children. This study aims to study the benefits tranexamic acid in controlling postoperative bleeding in pediatric cardiac surgical patients. Methods and Results: Fifty consecutive children who underwent cardiac surgery were randomized prospectively to receive either aprotinin (Group A; n = 24) or tranexamic acid (Group B; n = 26) from September 2009 to February 2010 were studied. Primary end points were early mortality, postoperative drainage, reoperation for bleeding and complications. Mean age and body weight was smaller in Group A (Age: 48.55 vs. 64.73 months; weight 10.75 vs. 14.80 kg) respectively. Group A had more cyanotic heart disease than Group B (87.5% vs. 76.92%). Mean cardiopulmonary bypass time (144.33 vs. 84.34 min) and aortic cross-clamp time (78.5 vs. 41.46 min) were significantly higher in group A. While the blood and products usage was significantly higher in Group A, there was no difference in indexed postoperative drainage in first 4, 8 and 12 h and postoperative coagulation parameters. Mean C-reactive protein was less in Group A than B and renal dysfunction was seen more in Group A (25% vs. 7.6%). Mortality in Group A was 16.66% and 7.6% in Group B. Conclusion: Anti-fibrinolytics have a definitive role in high-risk children who undergo open-heart surgery. Tranexamic acid is as equally effective as aprotinin with no additional increase in morbidity or mortality. Ultramini Abstract: Coagulopathy has been a major issue in pediatric cardiac surgery, and anti-fibrinolytics have been used fairly regularly in various settings. This study aims to evaluate the efficacy of tranexamic acid as compared against that of aprotinin in a randomized model. Tranexamic acid proves to be equally effective with less toxicity with no added mortality. Aims: The aim of the study was to measure airway patency objectively during dexmedetomidine sedation under radiographic guidance in spontaneously breathing pediatric patients scheduled for cardiac catheterization procedures. Subjects and Methods: Thirty-five patients in the age group 5-10 years scheduled for cardiac catheterization procedures were enrolled. All study patients were given loading dose of dexmedetomidine at 1 mg/kg/min for 10 min and then maintenance dose of 1.5 mg/kg/h. 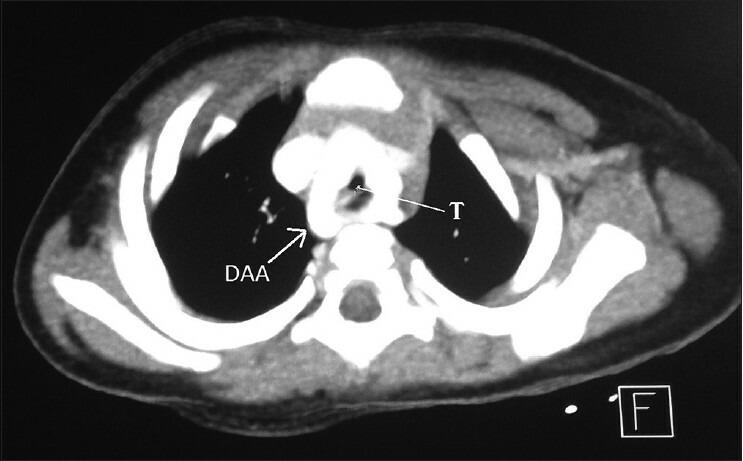 Radiographic airway patency was assessed at the start of infusion (0 min) and after 30 min. 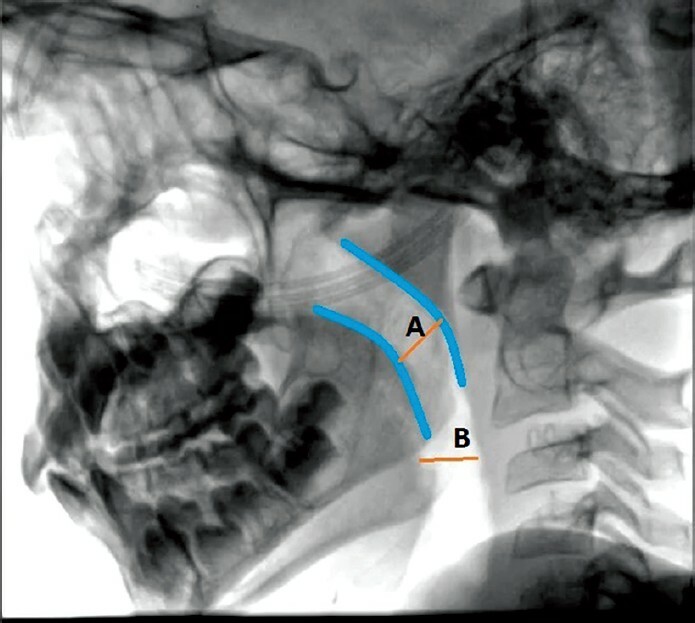 Antero-posterior (AP) diameters were measured manually at the nasopharyngeal and retroglossal levels. Dynamic change in airway between inspiration and expiration was considered a measure of airway collapsibility. Patients were monitored for hemodynamics, recovery time and complications. Statistical Analysis: Student paired t-test was used for data analysis. P < 0.05 was considered significant. Results: Minimum and maximum AP diameters were compared at 0 and 30 min. Nasopharyngeal level showed significant reduction in the minimum (6.27 ± 1.09 vs. 4.26 ± 1.03, P < 0.0001) and maximum (6.51 ± 1.14 vs. 5.99 ± 1.03, P < 0.0001) diameters. Similarly retroglossal level showed significant reduction in the minimum (6.98 ± 1.09 vs. 5.27 ± 1.15, P < 0.0001) and maximum (7.49 ± 1.22 vs. 6.92 ± 1.12, P < 0.0003) diameters. The degree of collapsibility was greater at 30 min than baseline ( P < 0.0001). There was a significant decrease in heart rate ( P < 0.0001), and the average recovery time was 39.86 ± 12.22 min. Conclusion: Even though airway patency was maintained in all children sedated with dexmedetomidine, there were significant reductions in the upper airway dimensions measured, so all precautions to manage the airway failure should be taken. Introduction: Cardiac resynchronization therapy (CRT) is a proven therapeutic method in selected patients with heart failure and systolic dysfunction which increases left ventricular function and patient survival. We designed a study that included patients undergoing coronary artery bypass graft (CABG), with and without CRT-defibrillator (CRT-D) inserting and then measured its effects on these two groups. Patients and Methods: Between 2010 and 2013, we conducted a prospective cohort study on 100 coronary artery disease patients where candidate for CABG. Then based on the receiving CRT-D, the patients were categorized in two groups; Group 1 ( n = 48, with CRT-D insertion before CABG) and Group 2 ( n = 52 without receiving CRT-D). Thereafter both of these groups were followed-up at 1-3 months after CABG for mortality, hospitalization, atrial fibrillation (AF), echocardiographic assessment, and New York Heart Association (NYHA) class level. Results: The mean age of participants in Group 1 (48 male) and in Group 2 (52 male) was 58 ± 13 and 57 ± 12 respectively. Difference between Groups 1 and 2 in cases of mean left ventricular ejection fraction (LVEF) changes and NYHA class level was significant ( P > 0.05). Hospitalization ( P = 0.008), mortality rate ( P = 0.007), and AF were significantly different between these two groups. Conclusions: The results showed that the increase in LVEF and patient's improvement according to NYHA-class was significant in the first group, and readmission, mortality rate and AF was increased significantly in the second group. Background: NGAL is one of the most promising AKI biomarkers in cardiac surgery. However, the best timing to dose it and the reference values are still matter of discussion. Aim of the Study: We performed a uNGAL perioperative time course, to better understand its perioperative kinetics and its role in AKI diagnosis. Setting of the Study: San Raffaele University Hospital, cardiac surgery department. Material and Methods: We enrolled in this prospective observational study 19 patients undergoing cardiac surgery with cardiopulmonary bypass (CPB). Based on preoperative characteristics, they were divided in low-risk and high-risk patients. uNGAL measurements were collected at pre-defined times before, during, and up to 24 hours after surgery. Statistical Analysis: Data were analysed by use of SAS 1999-2001 program or IBM SPSS Statistics. Results: In low-risk patients, uNGAL had the highest value immediately after general anesthesia induction (basal dosage: uNGAL: 12.20ng×ml -1 , IQR 14.00). It later decreased significantly (3.40 ng×ml -1 , IQR 4.80; P = 0.006) during CPB, and finally return to its original value 24 hours after surgery. 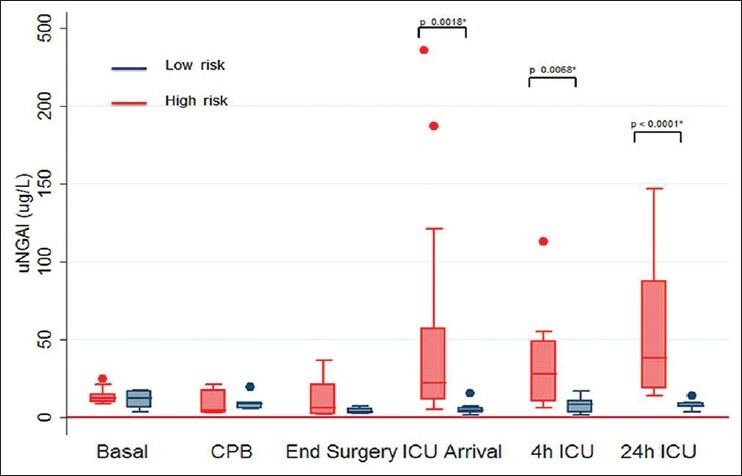 In high-risk patients, uNGAL increased immediately after surgery; it had the highest value on ICU arrival (38,20 ng×ml -1 ; IQR 133,10) and remained high for several hours. A difference in uNGAL levels between the two groups was already observed at the end of surgery, but it became statistically significant on ICU arrival (P = 0.002). Conclusion: This study helps to better understand the different kinetics of this new biomarker in low-risk and high-risk cardiac patients. Objective: Objective platelet function assessment after cardiac surgery can predict postoperative blood loss, guide transfusion requirements and discriminate the need for surgical re-exploration. We conducted this study to assess the predictive value of point-of-care testing platelet function using the Multiplate® device. Methods: Patients undergoing isolated coronary artery bypass grafting were prospectively recruited ( n = 84). Group A ( n = 42) patients were on anti-platelet therapy until surgery; patients in Group B ( n = 42) stopped anti-platelet treatment at least 5 days preoperatively. Multiplate® and thromboelastography (TEG) tests were performed in the perioperative period. Primary end-point was excessive bleeding (>2.5 ml/kg/h) within first 3 h postoperative. Secondary end-points included transfusion requirements, re-exploration rates, intensive care unit and in-hospital stays. 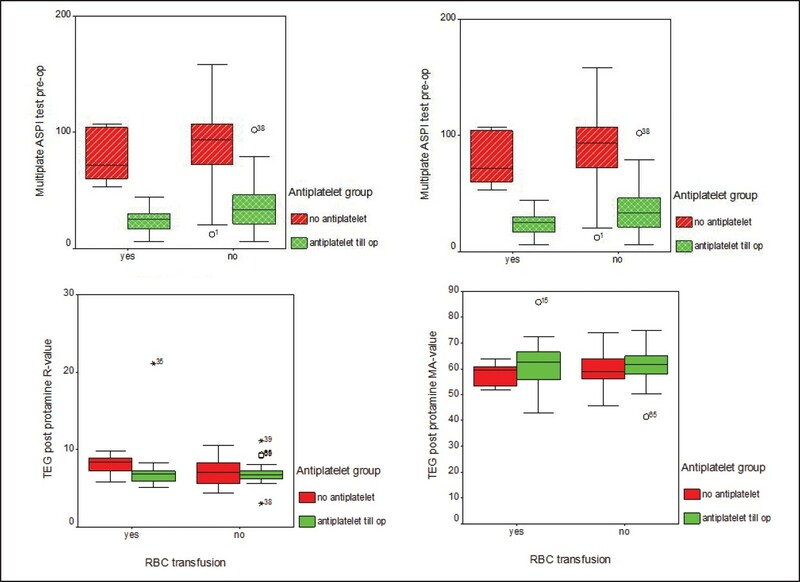 Results: Patients in Group A had excessive bleeding (59% vs. 33%, P = 0.02), higher re-exploration rates (14% vs. 0%, P < 0.01) and higher rate of blood (41% vs. 14%, P < 0.01) and platelet (14% vs. 2%, P = 0.05) transfusions. On multivariate analysis, preoperative platelet function testing was the most significant predictor of excessive bleeding (odds ratio [OR]: 2.3, P = 0.08), need for blood (OR: 5.5, P < 0.01) and platelet transfusion (OR: 15.1, P < 0.01). Postoperative "ASPI test" best predicted the need for transfusion (sensitivity - 0.86) and excessive blood loss (sensitivity - 0.81). TEG results did not correlate well with any of these outcome measures. Conclusions: Peri-operative platelet functional assessment with Multiplate® was the strongest predictor for bleeding and transfusion requirements in patients on anti-platelet therapy until the time of surgery. Study registration: ISRCTN43298975 (http://www.controlled-trials.com/ISRCTN43298975/). Background: The International Quality Improvement Collaborative (IQIC) for Congenital Heart Surgery in Developing Countries was initiated to decrease mortality and major complications after congenital heart surgery in the developing world. Objective: We sought to assess the impact of IQIC on postoperative outcomes after congenital heart surgery at our institution. Methods: The key components of the IQIC program included creation of a robust worldwide database on key outcome measures and nurse education on quality driven best practices using telemedicine platforms. We evaluated 1702 consecutive patients ≤18 years undergoing congenital heart surgery in our institute from January 2010-December 2012 using the IQIC database. Preoperative variables included age, gender, weight at surgery and surgical complexity as per the RACHS-1 model. The outcome variables included, in- hospital mortality, duration of ventilation, intensive care unit (ICU) stay, bacterial sepsis and surgical site infection. Results: The 1702 patients included 771(45.3%) females. The median age was 8 months (0.03-216) and the median weight was 6.1Kg (1-100). The overall in-hospital mortality was 3.1%, Over the three years there was a significant decline in bacterial sepsis (from 15.1%, to 9.6%, P < 0.001), surgical site infection (11.1% to 2.4%, P < 0.001) and duration of ICU stay from 114(8-999) hours to 72 (18-999) hours (P < 0.001) The decline in mortality from (4.3% to 2.2%) did not reach statistical significance. Conclusions: The inclusion of our institution in the IQIC program was associated with improvement in key outcome measures following congenital heart surgery over a three year period. As innovative technology continues to be developed and is implemented into the realm of cardiac surgery, surgical teams, cardiothoracic anesthesiologists, and health centers are constantly looking for methods to improve patient outcomes and satisfaction. One of the more recent developments in cardiac surgical practice is minimally invasive robotic surgery. Its use has been documented in numerous publications, and its use has proliferated significantly over the past 15 years. 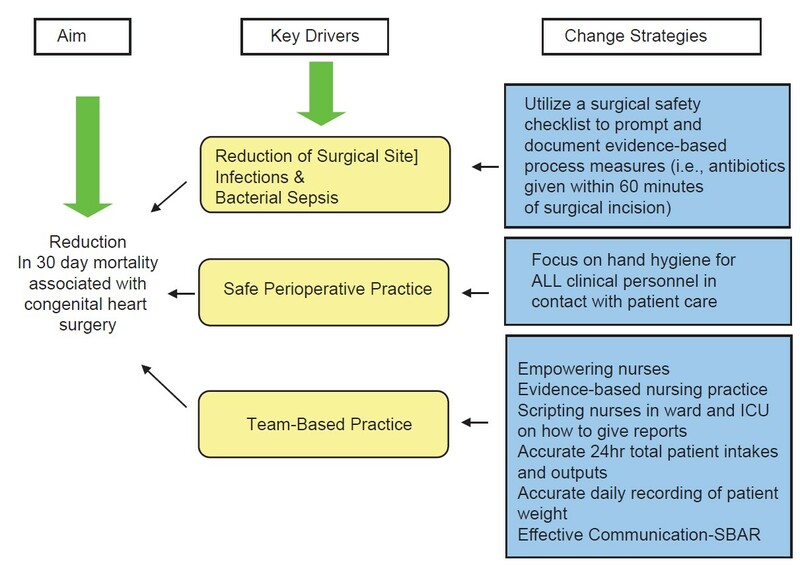 The anesthesiology team must continue to develop and perfect special techniques to manage these patients perioperatively including lung isolation techniques and transesophageal echocardiography (TEE). 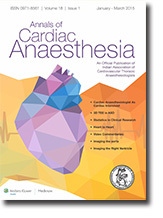 This review article of recent scientific data and personal experience serves to explain some of the challenges, which the anesthetic team must manage, including patient and procedural factors, complications from one-lung ventilation (OLV) including hypoxia and hypercapnia, capnothorax, percutaneous cannulation for cardiopulmonary bypass, TEE guidance, as well as methods of intraoperative monitoring and analgesia. 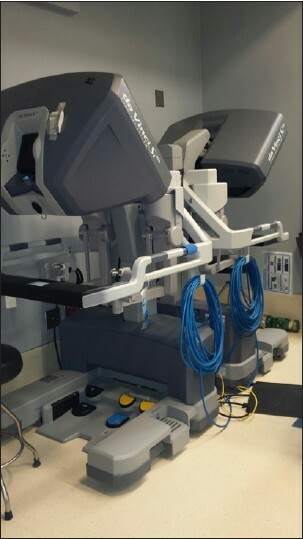 As existing minimally invasive techniques are perfected, and newer innovations are demonstrated, it is imperative that the cardiothoracic anesthesiologist must improve and maintain skills to guide these patients safely through the robotic procedure. 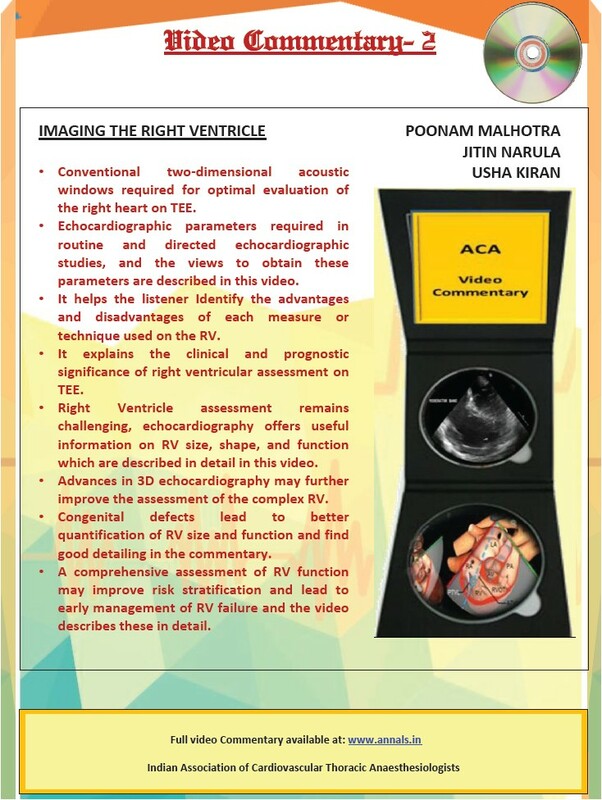 Echocardiography provides a useful tool in the diagnosis of many congenital heart diseases, including atrial septal defects, and aids in further delineating treatment options. 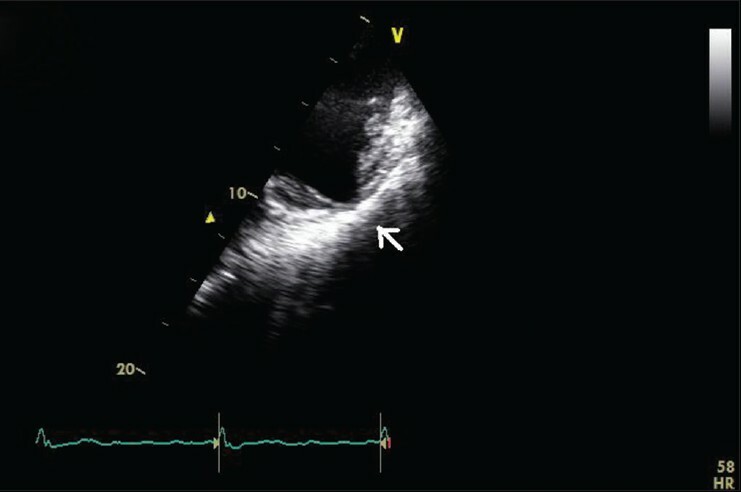 Although two-dimensional echocardiography has been the standard of care in this regard, technological advancements have made three-dimensional echocardiography possible, and the images obtained in this new imaging modality are able to accurately portray the morphology, location, dimensions, and dynamic changes of defects and many other heart structures during the cardiac cycle. Stanford type A aortic dissections often present to the hospital requiring emergent surgical intervention. 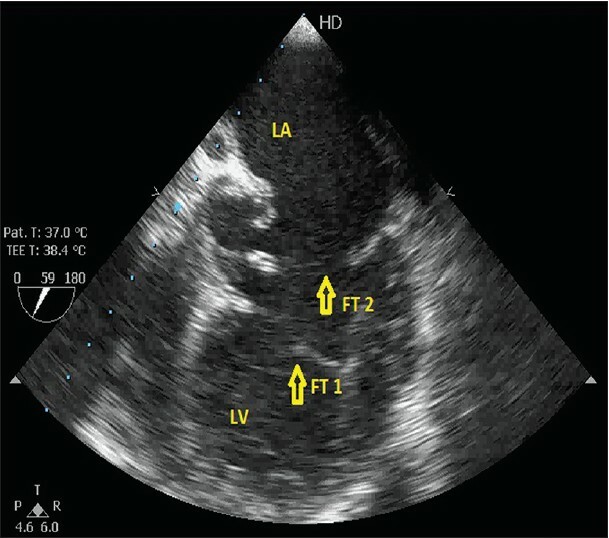 Initial diagnosis is usually made by computed tomography; however transesophageal echocardiography (TEE) can further characterize aortic dissections with specific advantages: It may be performed on an unstable patient, it can be used intra-operatively, and it has the ability to provide continuous real-time information. Three-dimensional (3D) TEE has become more accessible over recent years allowing it to serve as an additional tool in the operating room. We present a case series of three patients presenting with type A aortic dissections and the advantages of intra-operative 3D TEE to diagnose the extent of dissection in each case. Prior case reports have demonstrated the use of 3D TEE in type A aortic dissections to characterize the extent of dissection and involvement of neighboring structures. In our three cases described, 3D TEE provided additional understanding of spatial relationships between the dissection flap and neighboring structures such as the aortic valve and coronary orifices that were not fully appreciated with two-dimensional TEE, which affected surgical decisions in the operating room. This case series demonstrates the utility and benefit of real-time 3D TEE during intra-operative management of a type A aortic dissection. One of the dreaded mechanical complications of mitral valve replacement (MVR) is rupture of the left ventricle (LV). This report describes the early diagnosis and successful repair of rupture of posterior wall of LV in an elderly patient who underwent MVR. We have discussed the risk factors and perioperative issues implicated in such complication. The anesthesiologist as an intra-operative echocardiographer can aid in identifying the patient at risk. Though important surgical steps are necessary to prevent the complication; nonetheless, the anesthesiologist needs to take key measures in the perioperative period. We describe a case of intraoperative diagnosis and successful deferred percutaneous closure of a patent foramen ovale (PFO) in the clinical setting of acute refractory hypoxemic respiratory failure and new-onset ischemic stroke in an elderly patient after coronary artery bypass graft. Perioperative morbidity (i.e. severe hypoxemia, worsening right ventricular dysfunction, and embolic stroke) that is potentially related to intraoperatively diagnosed PFO during cardiac surgery can complicate management in the Intensive Care Unit and perhaps affect the patient's outcome. Although the PFO closure can be challenging in the clinical setting of hypoxemic respiratory failure and stroke following cardiac surgery, it can be a reasonable perioperative option. Patient with embolic episode should always be evaluated for cardiac mass. 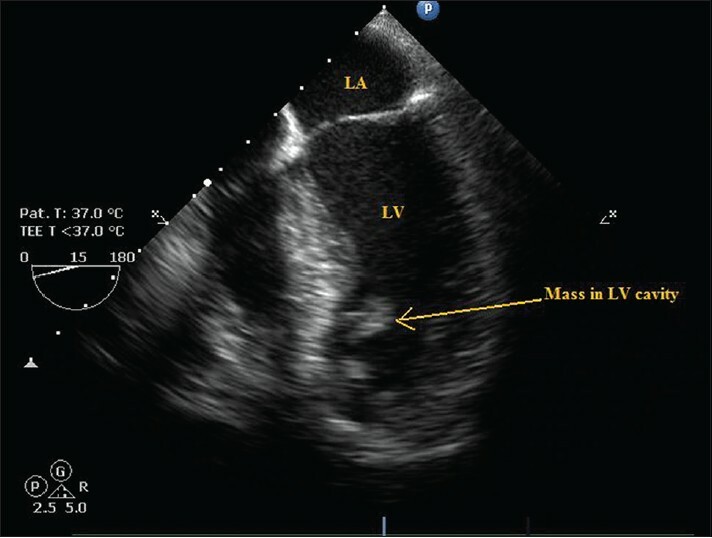 Mass in left ventricular can be a myxoma or thrombus even in a normal functioning heart . In either case, mobile mass with embolic potential should be surgically resected. 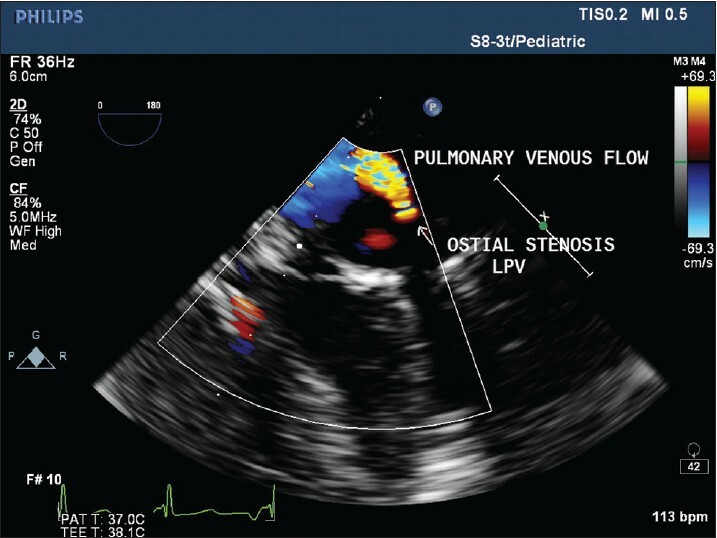 Pregnancy in presence of severe aortic stenosis (AS) causes worsening of symptoms needing further intervention. In the advanced stages of pregnancy, some patients may even require aortic valve replacement (AVR) and cesarean delivery in the same sitting. Opioid based general anesthesia for combined lower segment cesarean section (LSCS) with AVR has been described. However, the use of opioid may lead to fetal morbidity and need of respiratory support for the baby. 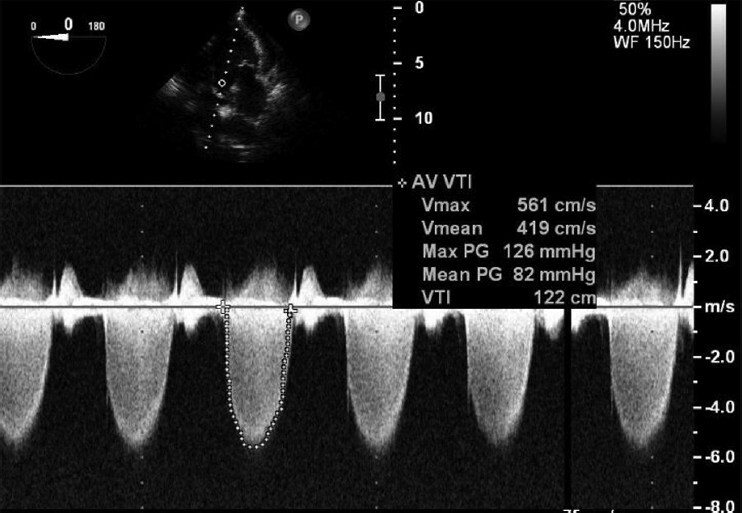 We describe successful anesthetic management for LSCS with AVR in a >33 week gravida with severe AS and congestive heart failure. We avoided opioids till delivery of the baby AVR; the delivered neonate showed a normal APGAR score. Nicorandil is a commonly used antianginal agent, which has both nitrate-like and ATP-sensitive potassium (K ATP ) channel activator properties. Activation of potassium channels by nicorandil causes expulsion of potassium ions into the extracellular space leading to membrane hyperpolarization, closure of voltage-gated calcium channels and finally vasodilatation. However, on the other hand, being an activator of K ATP channel, it can expel K + ions out of the cells and can cause hyperkalemia. Here, we report a case of nicorandil induced hyperkalemia unresponsive to medical treatment in a patient with diabetic nephropathy. 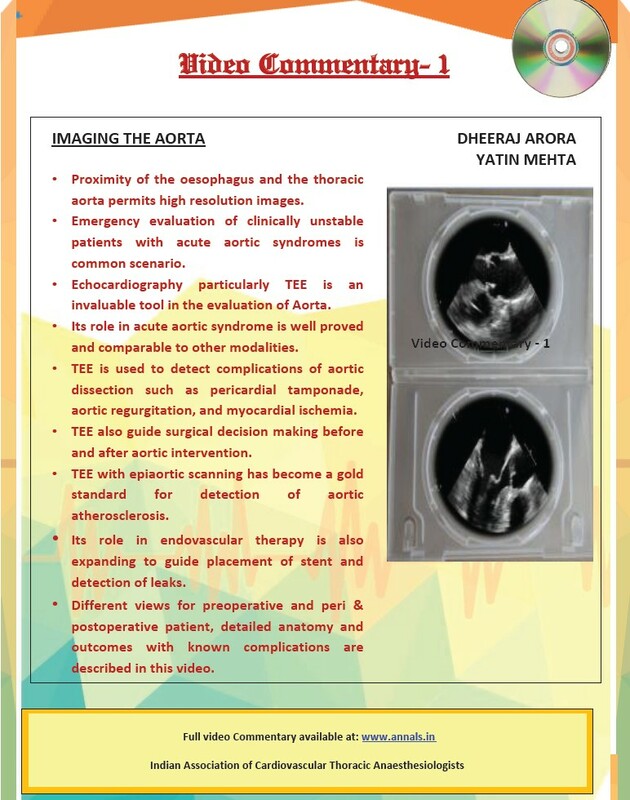 Double aortic arch (DAA) is a congenital vascular anomaly. The diagnosis was difficult till the child was symptomatic, and other causes were ruled out. 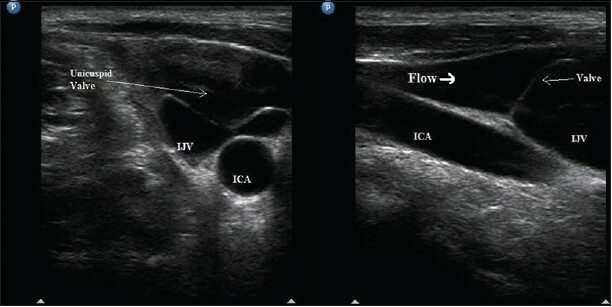 We present the interesting images of a child of respiratory distress because of tracheal compression from DAA.